"Resisting Gossip" [extended] Book Trailer from Third Brother Films on Vimeo. "Resisting Gossip" Book Trailer from Third Brother Films on Vimeo. 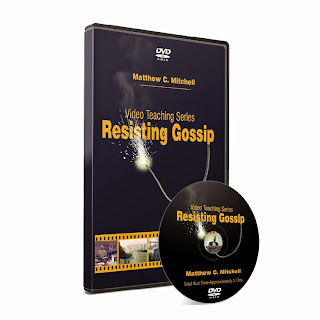 The Resisting Gossip Teaching Series is also available on DVD. These videos are all designed to be used with Resisting Gossip Together.